Quoting unnamed sources close to the family of the JeM chief, the channel said Azhar is "alive", without elaborating on his health condition. India's most wanted terrorist and Jaish-e-Mohammed chief Masood Azhar is "alive", a Pakistani media report said on Sunday, quoting unnamed sources close to his family. The media reports claiming that JeM leader is dead are false, Geo Urdu News reported. The report came amid speculation on social media that JeM founder has died. However, there was no official confirmation. There was no official word on Azhar's fate from the Pakistan government. "I don't know anything at this moment," Federal Information Minister Fawad Chaudhry told PTI, when asked about media reports claiming death of Azhar. 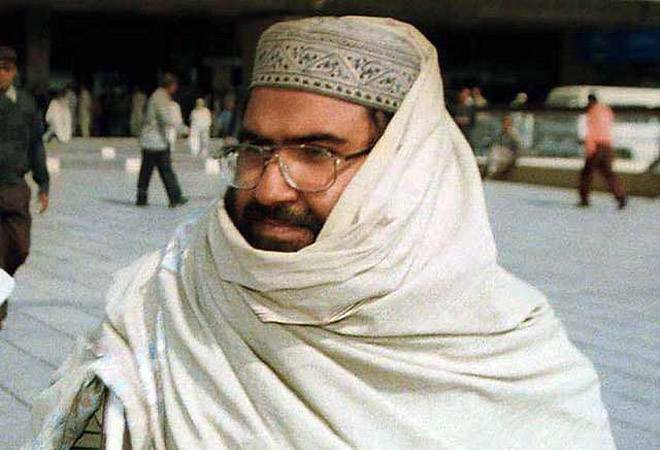 The 50-year-old Azhar, who was released by the NDA government in 1999 in exchange of hostages of the hijacked Indian Airlines plane IC-814, has been accused of being the mastermind of the 2001 Parliament attack, suicide attack on Jammu and Kashmir state assembly, attack on Pathankot IAF base and the latest Pulwama terror strike. Meanwhile, Intelligence agencies in New Delhi were trying to ascertain reports on social media about the death of Azhar in Pakistan. The Indian officials said they had no information other than that Azhar was undergoing treatment at an army hospital after suffering renal failure. Jaish terror group's Balakot camp, where training was imparted to recruits to carry out suicide attacks, was targeted by the IAF in an air strike last week, following the Pulwama terror attack in which 40 CRPF personnel were killed. The Indian government has claimed that it achieved a spectacular success by destroying the facility. In an interview to CNN, Pakistan Foreign Minister Shah Mehmood Qureshi earlier admitted that the JeM chief is in his country and is "very unwell", but said the government can act against him only if India presents "solid" and "inalienable" evidence that can stand in a court of law. "He is in Pakistan, according to my information. He is unwell to the extent that he can't leave his house, because he's really unwell," Qureshi said. The US, the UK and France last week moved a fresh proposal in the UN Security Council to designate Azhar as a global terrorist, a listing that will subject him to global travel ban, asset freeze and arms embargo. The proposal was moved Wednesday by the three permanent veto-wielding members of the 15-nation Security Council. The Security Council Sanctions Committee will have 10 working days to consider the fresh proposal submitted by the three permanent members.